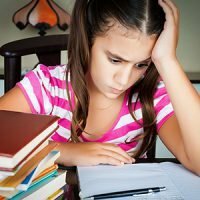 If your daughter is struggling academically, socially and behaviorally, you are undoubtedly worried, frustrated and wondering why all of this is happening. Attention Deficit Hyperactivity Disorder could be the root of the problem. Studies indicate that as many as 75% of girls with ADHD are not diagnosed. Having your daughter assessed for ADHD now—even if she’s a teenager—could be crucial for her well-being and your peace of mind. As a clinical psychologist for children and adolescents, I provide psychological testing for teens who have been admitted to a psychiatric inpatient unit and are in need of a comprehensive diagnosis. These youth are usually admitted because they are suicidal or have severe behavior problems at home and at school. Some end up with a diagnosis of ADHD, along with depression and/or severe anxiety. For many of these teens, especially girls, even those as old as age 15 and up, this is the first time they have been identified as having ADHD. It’s sad that these kids have been struggling for years to make it at home and at school. 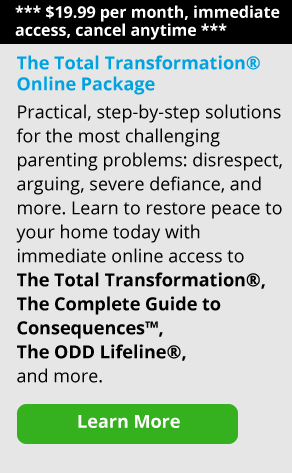 Their mounting frustration leads to low self-esteem, poor peer relationships, use of drugs or alcohol, cutting, and other harmful behaviors; not surprisingly, these behaviors produce chaos in the home and poor academic achievement. Girls with ADHD are often labeled “daydreamers.” Boys with ADHD are typically disrupting the classroom or getting into trouble on the playground. That’s why so often it’s the boys who are referred by teachers for testing. While this late diagnosis does happen for boys, it is much more common for girls. According to the Centers for Disease Control and Prevention (CDC), parents of 6-to-17-year olds identify more than twice as many boys as having ADHD symptoms as they do girls. The same disparity is found in the rate of treatment with medication, with more than twice as many boys receiving such treatment as compared to girls. The difference in their outcomes is even worse: one out of four girls has severe anxiety and/ or depression, while this is true for less than one in twelve boys. The reason for this discrepancy is that girls with ADHD tend to present quite differently from boys. Boys are more likely to have significant hyperactivity and impulsivity, while girls can present with inattention and distractibility. Girls with ADHD are often labeled “daydreamers:” think of the girl who sits quietly in class, looking out the window while twirling her hair. Boys with ADHD are typically disrupting the classroom or getting into trouble on the playground. That’s why so often it’s the boys who are referred by teachers for testing. The old maxim of “the squeaky wheel gets the grease” still prevails. Because they are overlooked, girls with unidentified ADHD may suffer in relative silence. Academically, they are seen as unmotivated, or that they are poor listeners due to distractions. They are viewed as making careless mistakes and being poorly organized. Parents and teachers think they are bored, or that they are just going through a phase. The conclusion is that they will just “grow out of it.” Unfortunately, the evidence says that 62% of girls who could be diagnosed with ADHD as a child continued to meet diagnostic criteria 11 years later. One of the most devastating effects of ADHD on girls is in the area of peer relationships. Because they may have difficulty listening to conversations, they are perceived as being not interested or come across as shy and withdrawn. Girls who have a somewhat higher activity level may engage in silly behavior and show off to get attention from peers. In either case, this usually leads to rejection by peers and unfortunately, they are often the victims of bullying. It is hard to listen to some of the painful stories these girls share during group or individual therapy sessions. They are usually bright, sensitive young women with deep hurts, who feel that they just don’t fit in. Because of the severe depression and/ or anxiety resulting from their untreated ADHD, they often have difficulty with emotional regulation. This, coupled with poor social skills, leads to conflict at home. When disciplined or punished, the teen feels even more alone; she may then withdraw or become doubly disruptive, creating further turmoil in the home. On the academic side, children with ADHD have average or above average IQs. They may do well academically early on because they are able to use their intellectual ability to compensate for deficits in their executive functions: attention, concentration and working memory. As they progress in school, the difficulty of their school assignments increases; usually in the early teen years, they can no longer compensate and their grades decline. This leads to self-doubt and low self-esteem, resulting in deepened anxiety and depression. I know that I have presented some very disturbing information. It’s certainly extremely worrisome that we are seeing more teens with serious symptoms, and that the behaviors that prompt admission to the hospital are becoming more pronounced. The best solution is early identification and comprehensive treatment. When children—girls especially—have problems at school or at home early on, parents and teachers often attribute it to a lack of motivation, laziness or stubbornness. However, the real reason is lagging skills in one or more areas of executive functioning. When this is understood, and children receive appropriate assessment and comprehensive treatment as early as possible, they are more likely to avoid negative outcomes and be happy and successful. Children should receive an assessment from an experienced professional (such as a developmental pediatrician, clinical child psychologist or a child psychiatrist), along with a school-based assessment from a team of professionals (including a school psychologist, speech and language pathologist, nurse and others). Parents can get this started by either contacting the school administration or their child’s primary care physician. Once diagnosed, children need a comprehensive approach to improve functioning. Your child’s doctor can help you put together a treatment plan. Medication is often necessary. However, when symptoms are mild, psychological treatment may be sufficient. Psychological treatment is equally important when medication is prescribed. Medication only treats symptoms. If medication is stopped, the symptoms return. However, psychological treatment results in new skills that become hardwired in the brain and that will continue to develop as the child matures. The school also usually needs to provide accommodations to reduce stress and give the child a better chance to succeed. Half of all children with ADHD also have specific learning disabilities in receptive language, reading, math or writing; as a result, they may require special education services. Parents need help, too; they need to develop their ability to provide appropriate structure along with nurturance and encouragement. The child with ADHD—boys and girls alike—needs help improving their emotional regulation, problem-solving, self-control and social skills. Brain exercises can be particularly useful developing concentration, attention and working memory. Through early identification and treatment, we can give our girls the tools they need to successfully manage their ADHD throughout their lives. And when parents, the school, and the child work as a team to develop her skills and executive functions, improvements in academic achievement, increased positive behavior at home and greater success with peers and community activities are sure to follow. Dr. Robert Myers is a child psychologist with more than 30 years of experience working with children and adolescents with Attention Deficit Hyperactivity Disorder (ADD - ADHD) and learning disabilities. Dr. Myers is Associate Clinical Professor of Psychiatry and Human Behavior at UC Irvine School of Medicine. "Dr. Bob" has provided practical information for parents as a radio talk show host and as editor of Child Development Institute's website, childdevelopmentinfo.com. Dr. Myers earned his Ph.D. from the University of Southern California.